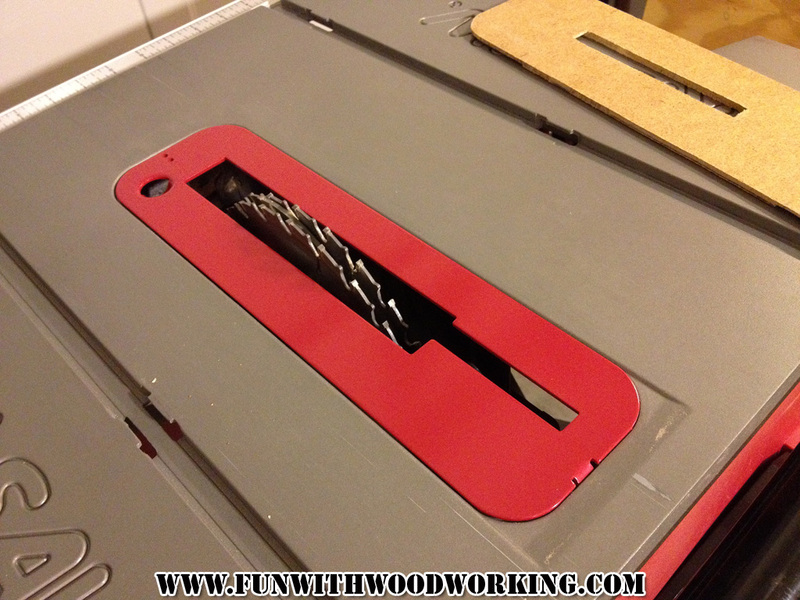 I recently wrote an post on making a zero clearance insert plate for my table saw. 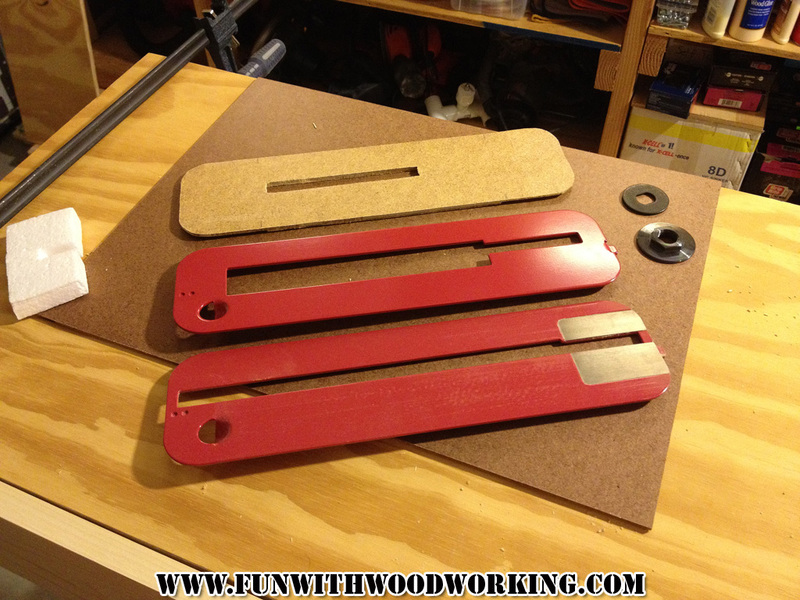 The main reason that I made that insert was because I could not find a dado insert made for my table saw. I did some more searching and finally found one on eReplacementParts.com. In the description it gave the model number for the part it was replacing. 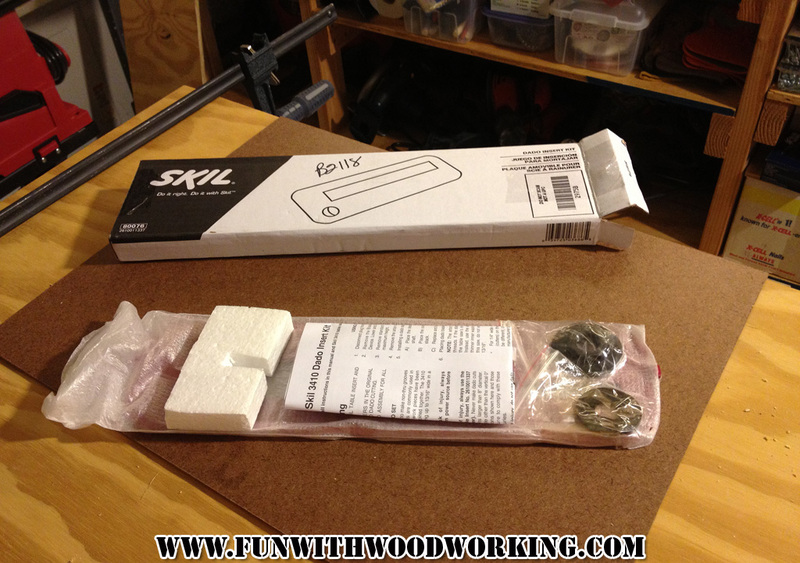 I then took that model number and plugged it into the search on the Skil site and was able to find the OEM part! 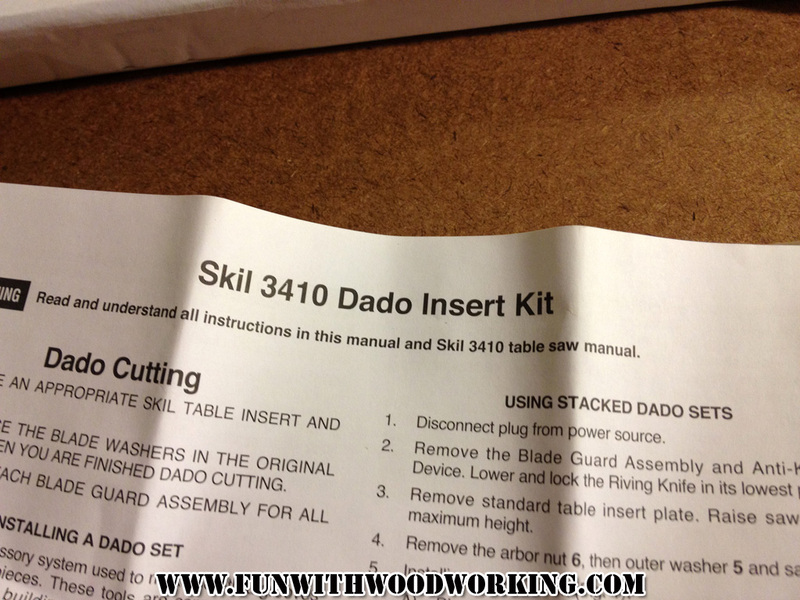 It did not give a picture and only gave a description of “Dado Insert Kit for 3410 Table Saw”. The after market website had a small picture that showed a nut and washer so I was cautiously optimistic that this one would come with one too. It turns out that it did come with a new washer/nut combo for the arbor that is slimmer and I can now install my full dado stack! Here’s the pic from the after market website. I felt like a kid on Christmas when it finally got here. 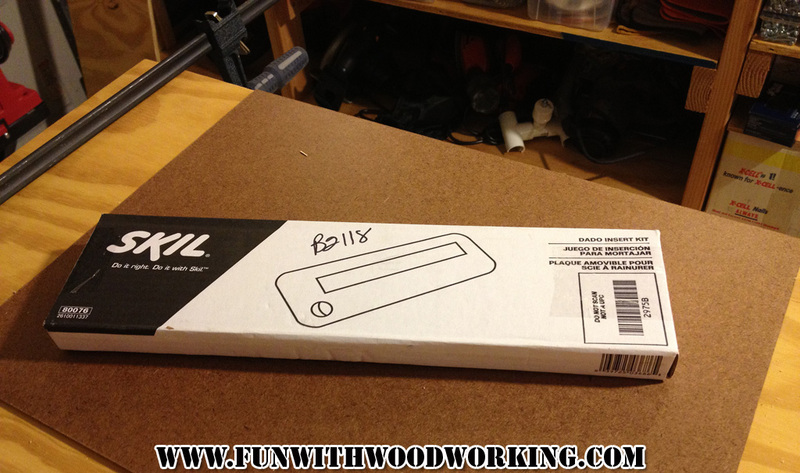 No question about it, it’s made for my table saw! the one on the other side of the blade. This is the zero clearance insert that I made. 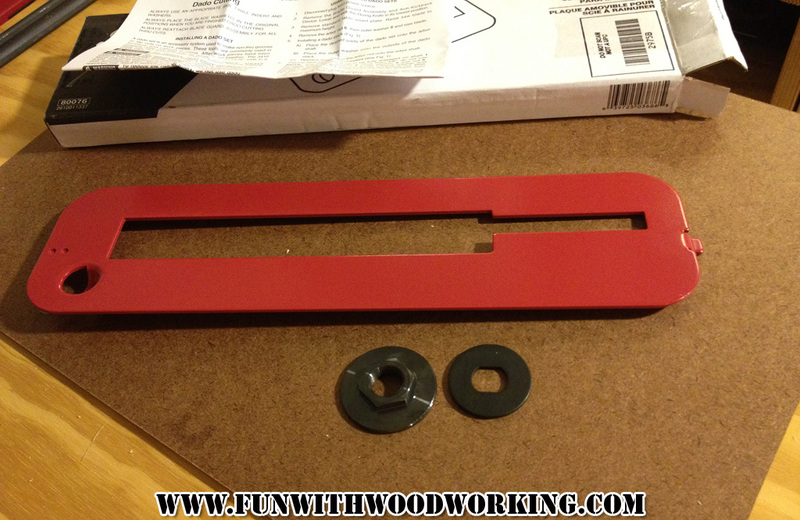 to fit in the whole 13/16″ stack! 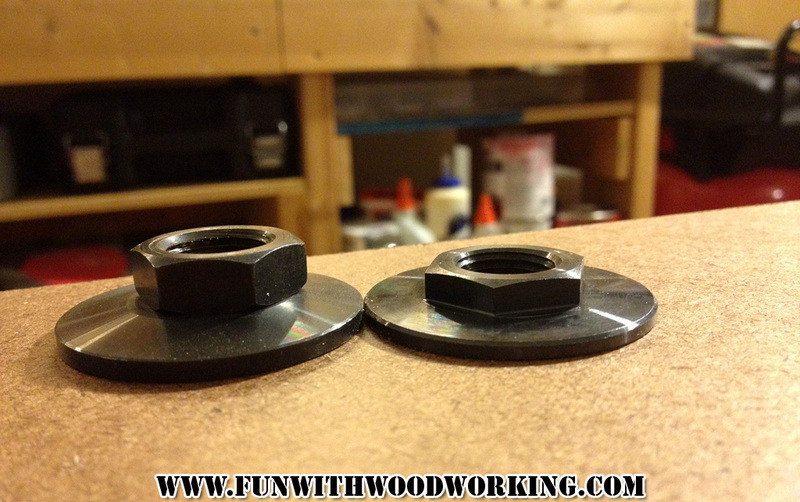 Here is the old washer/nut combo next to the new one. Your site gave me hope, but then I did the same, got the part number by going to the first website, then went to the OEM site and entered the info. It said: “This SAP obsolete item has been discontinued and is no longer available.” So bummed. Found one on Amazon though! Hoping it comes through. Although now I’m very curious why they would discontinue the part. Oy. Thank you for posting! I am finding “discontinued” Everywhere I looked… lovely. 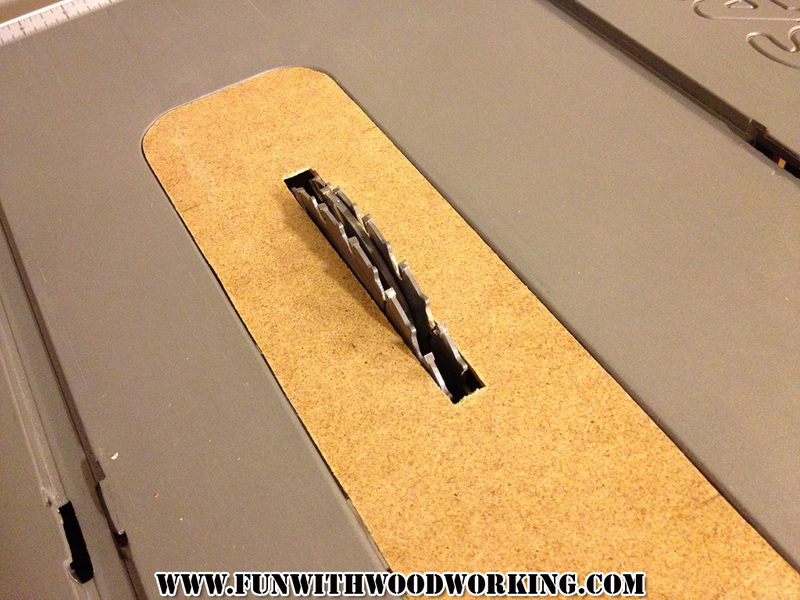 Can I ask… did you make your own insert using 1/8″ hardboard ? In a pinch, that is what I did also. Not sure I can find 1/8 hardWOOD around me. 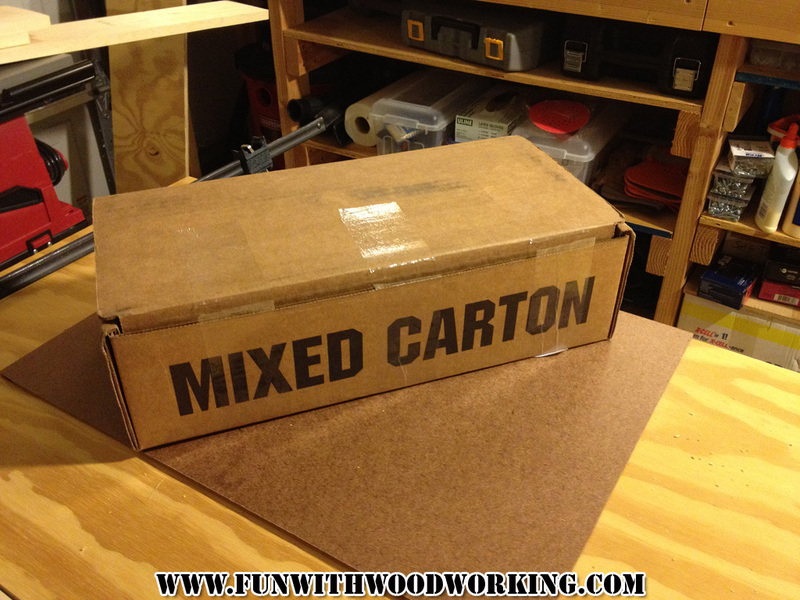 Yes, I used 1/8″ thick hard board. I’ve had good luck with finding hardwood at https://www.cherokeewood.com/ I believe that they also sell hardwoods at 1/8″ thicknesses.